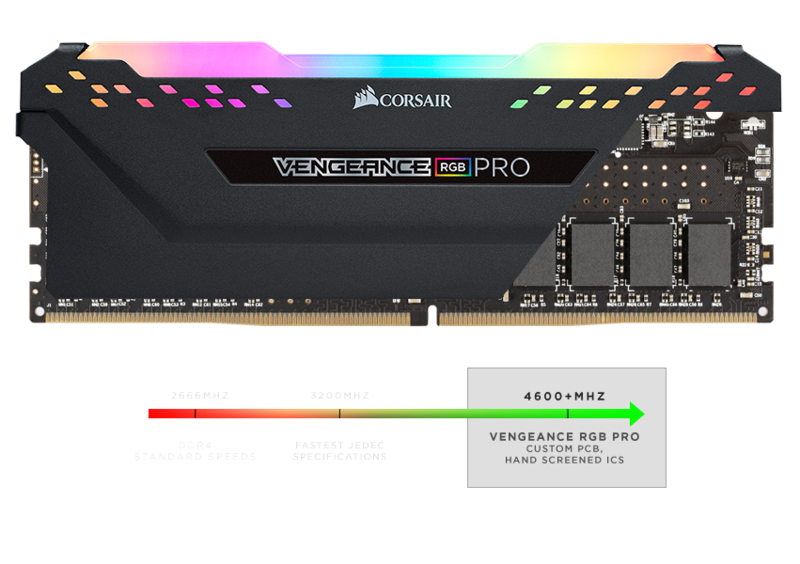 CORSAIR VENGEANCE RGB PRO Series DDR4 overclocked memory lights up your PC with mesmerizing dynamic multi-zone RGB lighting, while delivering the best in DDR4 performance. 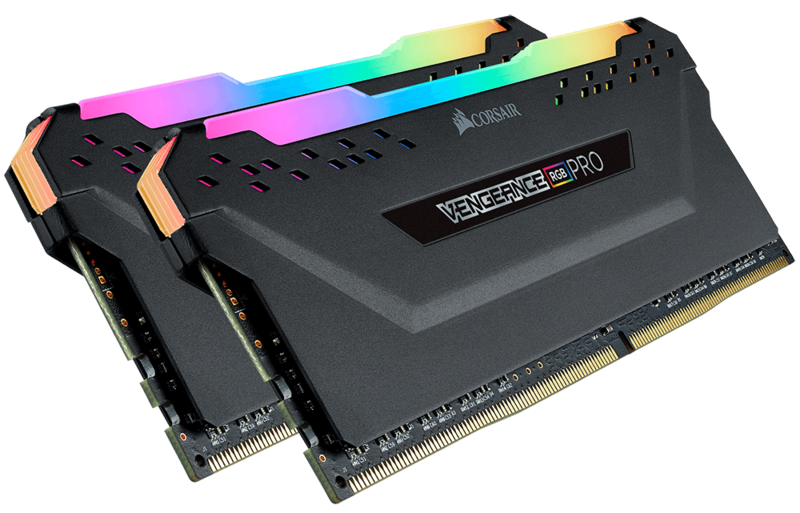 VENGEANCE RGB PRO Series DDR4 overclocked memory lights up your PC with mesmerizing dynamic multi-zone RGB lighting, while delivering the best in DDR4 performance. 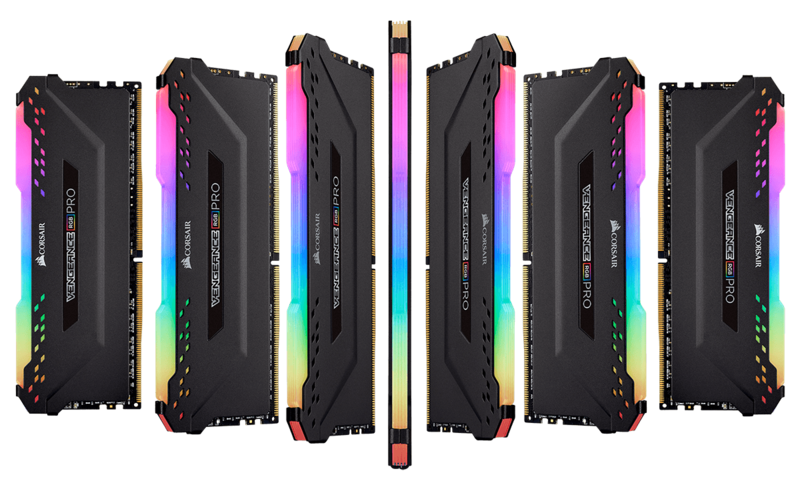 Powerful CORSAIR iCUE software brings your system to life with dynamic RGB lighting control, synchronized across all your iCUE compatible products, including memory, fans, RGB LED light strips, keyboards, mice and more. Customize dozens of preset lighting profiles, experiment with a huge variety of user adjustable colors and adjust LED brightness to perfectly match your system. Optimized for peak performance on the latest Intel and AMD DDR4 motherboards. Requires no extra wires or cables for a clean and seamless install. Provides the highest signal quality for the greatest level of performance and stability. Carefully screened ICs for extended overclocking potential. Improves thermal conductivity for superb memory cooling even when overclocked. A single BIOS setting is all that’s required to set your memory to its ideal performance settings, for optimum performance.